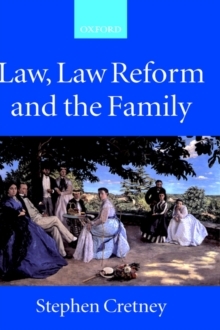 The law governing family relationships has changed dramatically in the course of the last century and this book - drawing extensively on both published and archival material and on legal as well as other sources - gives an account of the processes and problems of reform. Much of the work of the courts was concerned with marriage and divorce, but there were also major changes in the legal position of married women and reform in all these areas was hotly controversial. 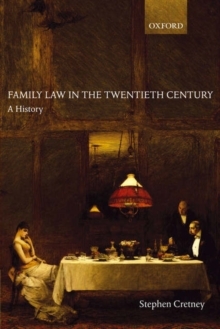 Family Law in the Twentieth Century gives full accounts of how the law has dealt with the relationship between children and their families, and the increasing involvement of the state in seeking to prevent abuse of children and providing for the needy. The book gives a revealing account of the processes of change and of the influence of pressure groups, civil servants, and judges, as well as individual campaigners.